So far, the lack of highly vocal opposition to the $26.5 billion deal between the two wireless carriers has been seen as a signal that regulators’ approval is possible. T-Mobile US and Sprint shares soared Wednesday after executives of both companies expressed optimism that their $26.5 billion merger is headed for approval. “We have been participating with regulators through the review process and we feel pretty good about our chances,” T-Mobile Chief Executive Officer John Legere said Tuesday in an interview after the Bellevue company reported third-quarter earnings. 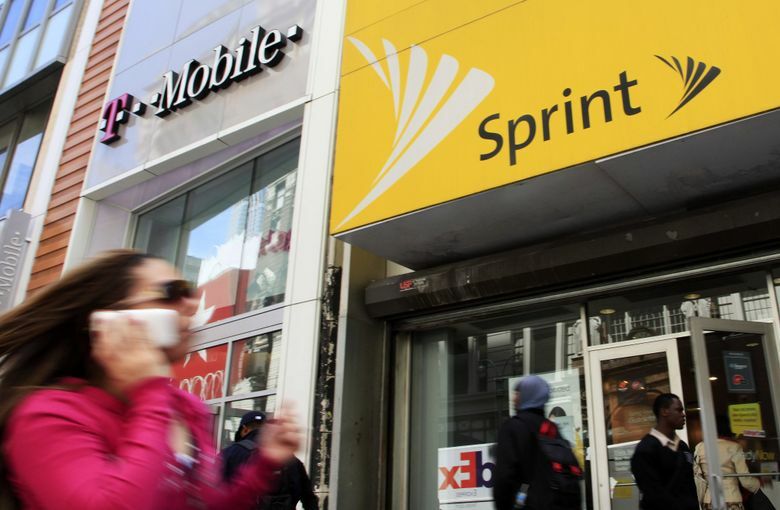 Sprint shares closed up 7.8 percent Wednesday, while T-Mobile stock climbed 7.3 percent. Wednesday was the final day for opposing arguments to be filed with the Federal Communications Commission. The deal has drawn criticism from the Communications Workers of America union and policy groups including Public Knowledge and Free Press, which reitrerated their concerns in a news conference Wednesday. Job losses will reach 30,000 as retail outlets close and headquarters are consolidated after the merger, said Debbie Goldman, telecom policy director for the communications workers’ union. The companies have argued that they need each other to keep up the pressure on the two biggest carriers — Verizon Communications and AT&T — and build a next-generation wireless network. Regulators must decide whether consolidation of the two most aggressive competitors can be good for consumers. The merger isn’t a shoo-in yet. “After all of our poking, prodding and analysis, we’ve yet to find an argument for or against that is significantly more persuasive than its counter,” Craig Moffett, an analyst with MoffettNathanson, said in a note Wednesday. Moffett puts the odds of approval at 50-50. Both Sprint and T-Mobile just posted upbeat earnings as the regulatory review continues. Sprint, which has had a decade of losses, still needs a merger despite signs that the business is stabilizing. The Overland Park, Kansas-based company has argued that without the T-Mobile deal, it faces dire financial conditions. “Sprint has not been able to turn the corner with respect to its core business challenges,” the company said in an FCC filing last month. So far, the lack of highly vocal opposition to the deal has been seen as a signal that approval is possible. And wireless services from cable giants Comcast and Charter Communications give regulators some new mobile competition to point to. Sprint CEO Michel Combes expects the deal to close in the first half of 2019. The companies already have approvals from more than half of the country’s state public utilities commissions, he said Wednesday at a news conference. “We’ve completed a number of milestones,” Combes said. Bloomberg’s Todd Shields contributed to this report.